As a follow-up the regrettable Christmas cards, we have regrettable nativity sets (courtesy of my friend Susan’s Facebook posting). 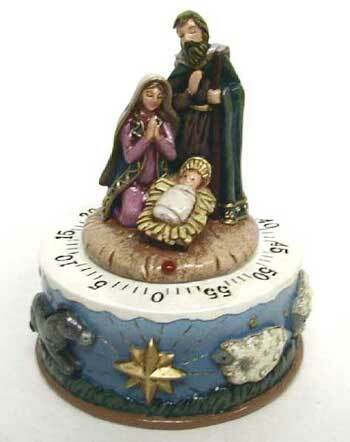 I have to say the nativity timer is my, er, favorite, although the marshamallows take a close second. You really must click through to see the rest. 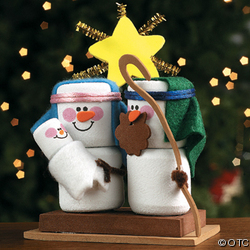 This entry was posted in Rave and tagged Christmas, Christmas note, Holiday, Horrible nativity sets, Nativity scene. Bookmark the permalink. My favorite take on the nativity is from Mr. Bean. First it’s all traditional then here comes the Queen’s Guard soldiers, tanks, Daleks and a tyrannosaurus. Oh and the chopper rescue of the Baby Jesus, can’t forget that. I don’t think I’ve seen that one. Although there’s that segment with the goose on his head — that was a Christmas one, wasn’t it?